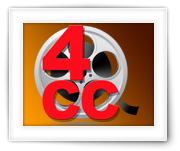 For the veterans amongst us, we all know FourCC Changer from fourcc.org, a small utility which allows you to change the video stream Four Character Code that identifies the codec used to compress/store the video stream. If you’ve used it before, then you will know that it’s a nifty little Windows program that can be used as a last resort when AVI files do not playback. Since FourCC Changer only exists for the Windows platform: here a free version for Windows, Linux (32 and 64bit) and MacOS X (intel). This application also support batches, offers a backup function and is very fast even for files in network shares. Before you being using this kind of application, please be aware that changing the FourCC does not suddenly convert a video stream to another format. It only tricks your media player to believe it’s another codec/format. Therefor: only use this when you really know what you’re doing. The reason why this sometimes can “fix” a “broken” AVI, is because quite a few codecs show a lot of resemblance and in certain cases they can decode video that was not originally intended for the codec that you have. For example MPEG4, DIVX and XVID show a lot of resemblance and considering the origin of DivX ;-) this is no surprise. I originally created this app for MacOS X, but recompiled and tested it under Windows and Linux as well. I’ll just assume you know why you want the FourCC code of your AVI file(s), so I won’t go into that too much, but these are the basic steps to use AVI FourCC Fix. First thing to do is to add files to your list by either using Drag and Drop or by clicking “Select Video Files“. You can add multiple files at once, or when you use Drag and Drop, you can even add an entire directory – all the AVI file(s) found in the directory and it’s sub-directories will be added automatically. Drag and Drop doesn’t work the same for all platforms. 3) Linux user can only drag and drop from mounted volumes. Your selected files will appear in the list on the right. Warning – Original files will be modified! Please be aware that the original files will be modified. Making a backup before doing so is highly recommended! Optionally, you can use “Make a Backup” to automatically have a backup made of all files in your list. The same filename will be used with “_bak” added before the extension, so example.avi will have example_bak.avi as a backup file. The next step is to enter your current FourCC and the FourCC you’d like to replace it with. You’ll notice that the drop-down already provides a long list of “common” FourCC codes. Also keep in mind that the FourCC code is case sensitive!! The “Fix QNAP Recording” button will automatically fill in the FourCC requirements for those who use this application to fix their Surveillance Station recordings. The button “Change FourCC” will, for each file in the list, look for the current FourCC you entered and when it finds it, replace it with the new FourCC code. This process will be very fast, even if your AVI files reside on a network share. Please keep in mind that the new FourCC cannot be longer than the old FourCC code. So if your FourCC code was “RLE” then you cannot change it it “DIVX” (not that this would make any sense anyway). There are 22 comments. You can read them below. Is it possible to convert a dvix in xvid ? I don’t have the divx choice in the select list. When I put divx on the first input, and xvid in the second choice, the conversion doesn’t work. For Divx several 4CC’s are being used, not sure which one your file might be using, and I’m assuming it’s an AVI file. Try one of these: 3IVD, DIV3, DIV4, DIV5, DIVX, DM4V, DX50, SAN3, SMP4. The program works fine but can’t change the FourCC of files with accent marks and non standard characters (like á and ç and ñ). Not a big problem but will fine if updated in the next version. thanks for reporting this issue – I’ll add it to the “ToDo” list! For me to understand correctly: a filename with special characters (like á and ç and ñ) cannot be worked with? Hi, I’ve noticed the same under Windows. The files with names that have special characters in them get added to the list fine. When the “Change FourCC” button is pressed, the program seems to patch them, and even displays the message stating they’re patched, but the files remain unchanged. One other thing that seems to happen is that after files are added to the list, if the “Change FourCC” button is pressed without selecting one of the files, the program comes up with the error “You did not add any files…”. Thanks for the very useful tool by the way. Sorry to hear you’re running into issues. I’ll try to check today to see if I can reproduce those issues. Do you have some example filenames which have these offending characters? I can come up with more I think, but these are what I could find doing a quick search. I wrote this app initially for QNAP surveillance recordings, so I never really paid attention to special characters. I’ll create some dummy files and see what happens. I just uploaded v1.2 for Windows and MacOS X – I’m trying to get the Linux version ready asap as well. You’ll have to pick the right version depending if your Mint setup is 32 or 64 bit. Once downloaded, unzip the file. You should have file called “AVI FourCC Fix”. You can try to double click it to see if it runs. If not, change the “right” to “executable” (either by right clicking the file, or in a shell with “chmod +x”). Hope this works for you …. Hi Hans, I have QNAP videos and like your tool but there is one issue. I have audio recorded and when I use your tool it removes the audio. Is there a way to get it to retain the audio? For the newer MPEG4 models, the audio is actually not removed, however most playback software doesn’t know how to handle the exotic audio format (see also these comments under the “Playback or Conversion of QNAP Surveillance Video Recordings” article. I have been tinkering with the audio track (thanks to users sending me example videos). Unfortunately, I have not (yet) been successful in changing the Audio codec, even ffmpeg does not seem to lake it. I have some videos that does not display the video track. I have had some success using FourCC code changers, where I would change the file and test to see if the video is displayed. are you aware of a utility that would test if a specific code will work (and show the video)? That is indeed an interesting problem you’re facing. You could try and see if ffmpeg or ffprobe can be of assitance. Both are free and very powerful video tools. Documentation can be found here. Again; I have not had the needs to test playback without actual playback of the video file. However this will indicate potential errors. Is the fourcc a possible cause of my blu ray player playing .avi video files and then not being able to play the same files due them being corrupt or unsupported? The problem with AVI is that it does not dictate what codec is being used. AVI is just a container for video files. This could cause certain files to play just fine on your BluRay player, and other not at all. Simply changing the FourCC might work when the FourCC code is being swapped with the FourCC code of another codec – both codecs have to have some level of compatibility though. So changing the FourCC does not change the codec, and using a FourCC from another (unrelated) codec may or may not work. For example (I’m just making this is up to illustrate! ), say be have the codec H264 (often referred to as MPEG4) and one called X264 (an opensource MPEG4 codec). Both are capable of handling h.264 video coded files. We would be able to get away with swapping the two FourCC’s. However if we swap H264 for MP2V (the old MPEG2 video), then the MPEG-2 codec will try to play back the much more advanced h.264 file – but it will not be able to handle this format and fail. I am trying to use the converter in Linux but everytime I run ChangeFourCC its saying 0 files patched. I am not sure whats wrong here. I have an .avi but like you explained above its just a container, I am not sure what is current FourCC codec for my input file. I want to convert it to MJPG format. Actually, I am trying to convert the video files so it can be opened in openCV. Please let me know how you advice me to go about it. What most likely happens is that your FourCC code is incorrect and cannot be found. Updating the code fails then so it will not be counted as succeeded. Also keep in mind that this application only changes the FourCC code and does not convert the video! There are several ways to find the FourCC code, for example by opening the file with VLC and then looking at the menu option “Media Information” – “Codec”. Small, free, and super powerful tool for burning CD's and DVD's (audio, video,data).